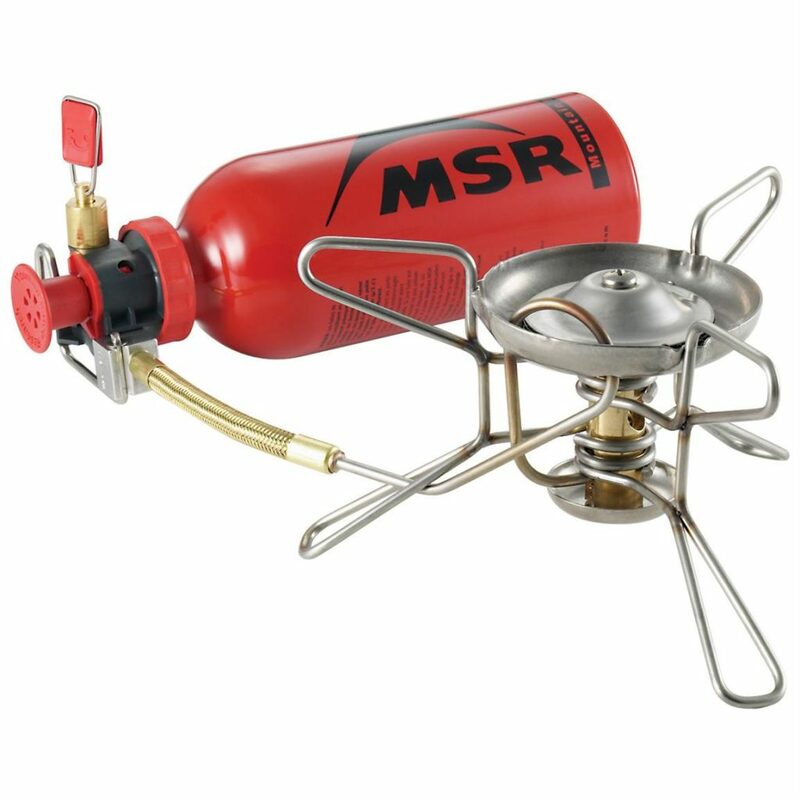 Australian Hiker | Which Backpacking Stove? As hikers we gain experience and confidence the longer we hike and depending on our interests, we often move onto longer day hikes and may even progress on to overnight and multiday trips. It’s at this stage that several additional considerations come into play. One of these considerations that we are faced with is what do you do about food? For most day hikes it is relatively easy to manage your food and even on short overnight hikes you can forgo hot meals and drinks and keep things simple. But what if you do want that hot chocolate or hot meal at the end of the day? How do you heat it up? Or if you are so inclined, how do you cook on the trail? Now as a typical ‘gear head’ I must admit to owning four stove systems with my most recent purchase being the Esbit Pocket Stove. My stoves are mainly aimed at my multiday solo thru-hikes where I am trying to minimise weight. If you talk to friends who have already progressed to overnight trips and are using stoves, they will have their favourites and will be all too happy to go into minute detail over their favourite cooking system. This article provides a brief overview of the readily available hiking stove types, looks at the best uses for each type as well as identifying the pros and cons to help you decide which one(s) may be right for you. When looking at purchasing a stove option you need to consider its use. Will you just be boiling water for a hot drink and for rehydrating your food or will you be cooking on the trail? On our typical multiday trips, we don’t tend to ‘cook’ and instead we usually drink two cups of tea/hot chocolate a day and boil up an average of 500ml of water for rehydrating a twin pack meal and a dessert every second day. For us this means we will be boiling approximately 1.5-1.8 litres of water on average each day. When comparing these stove systems you will need to look at the size and weight of the system which includes the unit creating the heat, the fuel source and the cooking/heating container. I have bypassed cooking on open fires here as well as avoided homemade stoves and will instead concentrate on readily available commercial systems. This cooking system involves a gas heating unit screwed into the top of a gas canister, which contains a butane/propane mixture. A wide range of companies produce these units so you are spoiled for choice with most models selling for under $100 AUD. The cheaper models use matches or cigarette lighters to ignite with dearer models often containing a push button starter mechanism. Like other stove units you will need to add the pot to the system to cook anything. While manufactures will usually recommend you use their brand of gas, the canisters are interchangeable between brands. These units tend to be very robust and will last for years. In our recent survey, 30% of hikers identified they use this stove type for their hiking adventures. For the use I described in the introduction, I will need approximately 18 grams of gas per day for two people at a cost of approximately $1.58 for two people/day. There are a number of different cylinder sizes but from personal preference I use the small 100 gram unit. While it’s dearer to buy these small cylinders it’s easier to keep track of gas use. for most of the stoves on this range a 100gram canister will last just on size days. If using the small cylinders you will need a base support to stop them tipping over due to their small weight. This type of stove is a gas stove that includes an integrated pot set, usually an electric starter mechanism and a wind barrier system all in one. This integrated system is easy to manage on the trail, great for those new to using stoves, and if looked after generally lasts. The main claim to fame of these stoves is that they boil water; and they do this FAST. Boiling ½ litre of water takes under 2.5 minutes in most conditions. As ambient temperatures drop the fuel becomes colder causing a lower vapour pressure, and with it a lower burner output. Companies like Jetboil and MSR produce the best-known models. For the use I described in the introduction for two people, my preferred 100 gram gas cylinder will last 7-8 days at $1.28/day/two people. A 100 gram cylinder will usually provide about one hour of burn time. Along with gas stoves this is the main style of stove currently used by most hikers and in our recent survey, 30% of hikers said they use this stove type for their hiking adventures. These stoves use methylated spirits in a small container under a stand allowing a pot to sit on top. This stove type is probably the most sold camping stove in Australia and if you own multiple stoves I can almost guarantee this will be one of them. 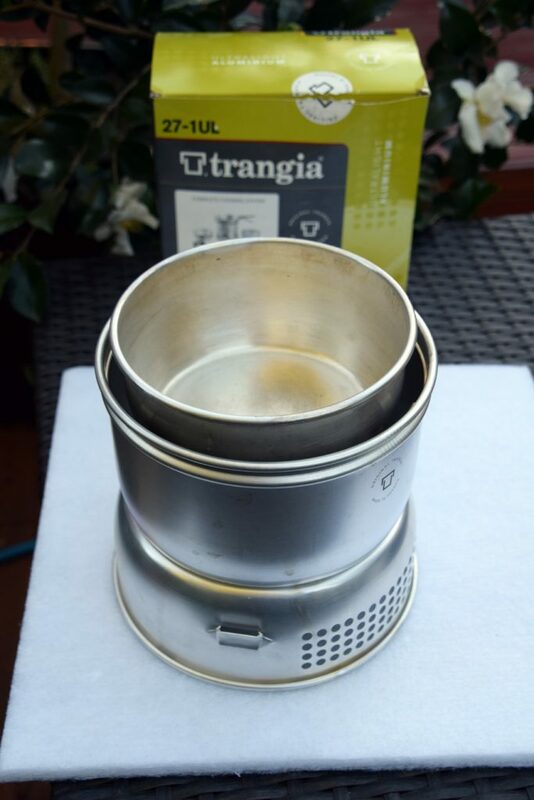 Probably the best-known stoves in this category are the Trangia stoves, which use methylated spirits (Usually known as Denatured Alcohol in the USA). These stoves can be used for cooking as well as boiling water for rehydration use with their main drawback being their speed. This slow speed is what makes then suitable for cooking but does mean you will use more fuel. For simple overnight trips these are not the lightest options, as you will need to carry a robust container with your fuel. You can always use lightweight containers but make sure that they are secure as methylated sprits can severely damage much of your equipment if the bottle leaks. Trangia also produces a dedicated fuel bottle which while not lightweight, nor cheap is very secure. One of the biggest advantages is that you need to estimate how much fuel to use and if you run out mid-way through the cooking process you need to wait until the burner has cooled down to add more otherwise you risk injury. By far the biggest disadvantage of this stove type is the risk of personal injury and/or causing fires with these units. I managed as an 11-year-old to set my hand on fire cooking with methylated spirits and thankfully caused no permanent damage. I have also seen the fuel spill causing fire on the surrounding ground, which is not something you want to do in times of high fire danger. As such, this is a stove for ‘adult’s only’ or older kids under strict supervision. 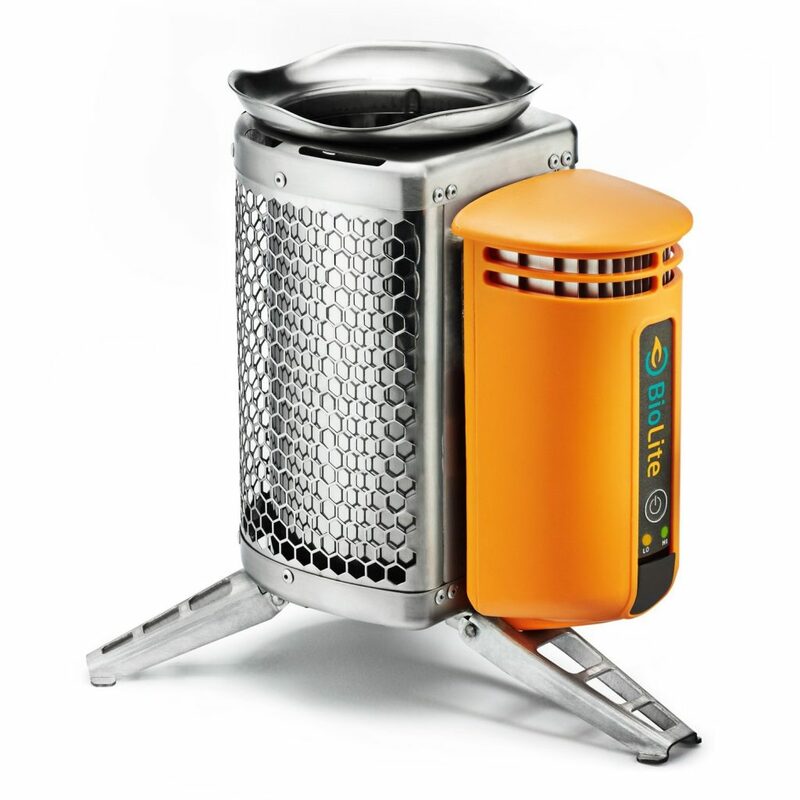 In our recent survey 26% of hikers identified they use this stove type for their hiking adventures. For the use I described in the introduction I will need approximately 40 ml of methylated spirits per day for two people at a exorbitant cost of 14¢. The Trangia systems come complete with built in windshields, fuel burner and pots and in a range of sizes to cater for large or small groups. These stoves consist of a fuel container, regulator and burner unit that is manufactured to use a wide range of fuel types. They can be fiddly to set up and need to be primed. If this is done incorrectly they can be very dangerous. The stoves are excellent when travelling widely and if you are unsure of fuel availability. 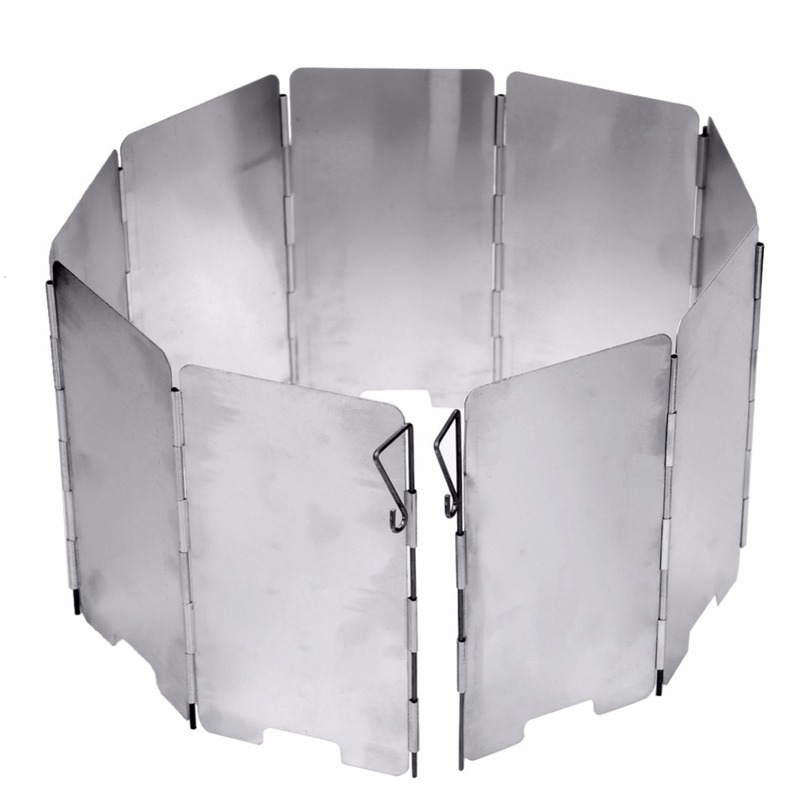 They also excel as a base camp stove for larger groups and are very cost effective. While they can be fiddly they also have the capacity to be stripped down and repaired in the field, something that other stove types don’t always cater for. In our recent survey, 9% of hikers identified as using this stove type for their hiking adventures. Not one of the more common hiking stoves used. 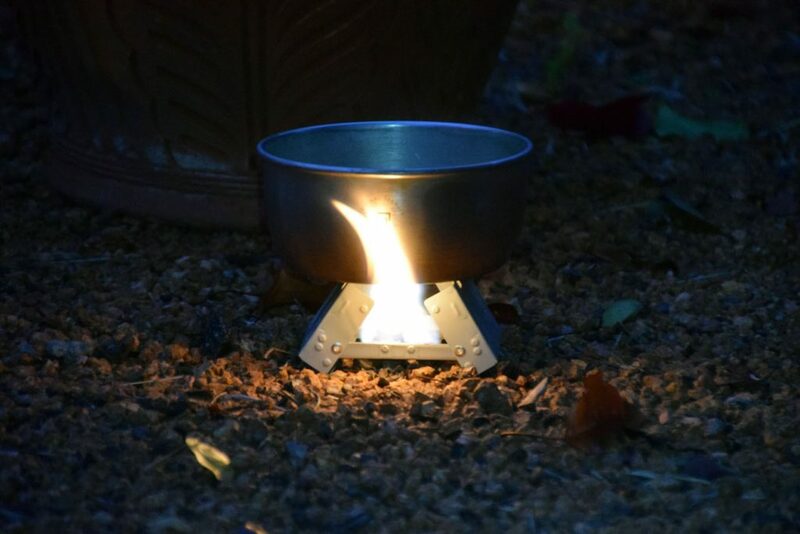 Hexamine stoves use a small waxy looking block of solid fuel that is contained in a stove mechanism (a metal frame) that also provides a base to sit your pot. A good example of this type of stove is the Esbit brand. 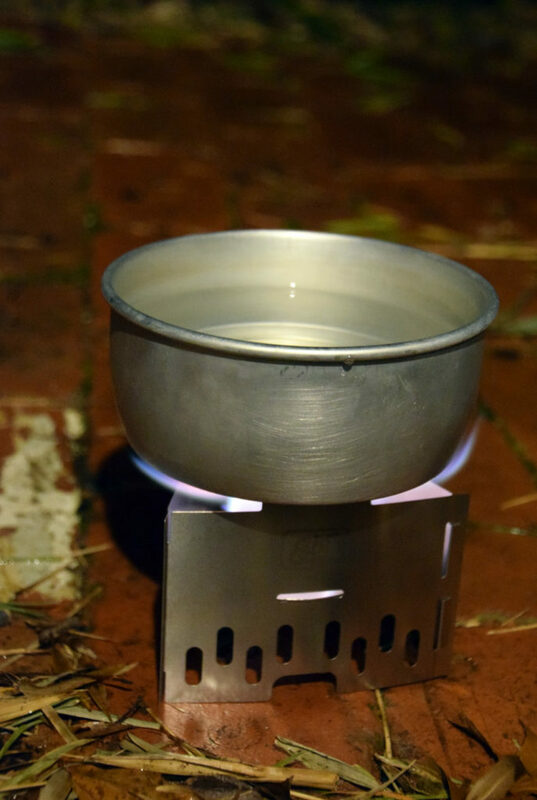 The Esbit Pocket stove has been in production for over 50 years and is about as fool proof as stoves get. Unfold the stove unit to the desired size; place the waxy looking fuel tablet in its holder and light with a match or cigarette lighter. It takes approximately 11 minutes to boil 500 ml of water depending on the effect of wind. I tend to use this stove on overnight tips where I want something really light weight. This fuel type is not susceptible to cold weather or altitude like other fuel types. This is also a very lightweight and compact unit with your pot choice going to dictate the overall size and weight of your cooking system. My current system which consists of the Esbit pocket stove and the pot system from my Trangia Mini weights 341 grams plus fuel. While fuel is readily available you will need to ensure you know where your next resupply is going to be or carry enough to last you for the entire trip. While reasonably fool proof to use ensure that you have set up your cook site on stable ground, clear away any flammable material to prevent any unwanted fires (this is less of an issue than with spirit type stoves as fuel spillage is not a big issue), and shelter from the wind otherwise these units become less efficient. If the water is not boiled and the tablet is nearly gone just add another one. The tablets can be blown out once you have finished with them and reused next time you cook so I would recommend that you have a good quality zip lock bag to store the fuel in. In our recent survey, only 2% of hikers identified as using this stove type as their main stove for their hiking adventures. Each 14 gram tablet will last about 12-14 minutes, which means that for the use I described in the introduction I will need three tablets per day at a cost of approximately $4.50 for two people. So not cheap on fuel usage compared to other stove types. This stove is essentially a miniature version of a wood barbecue that we use at home and doesn’t fit into the lightweight backpacking category weighting up to 1 kg or more. having said that you can get very lightweight versions of these stoves. They also rely on being able to find dry fuel and being legally allowed to use them, which is not always an option in Australian National Parks and nature reserves. They are great for car camping when weight is not an issue and create that atmosphere that only get with an open fire. 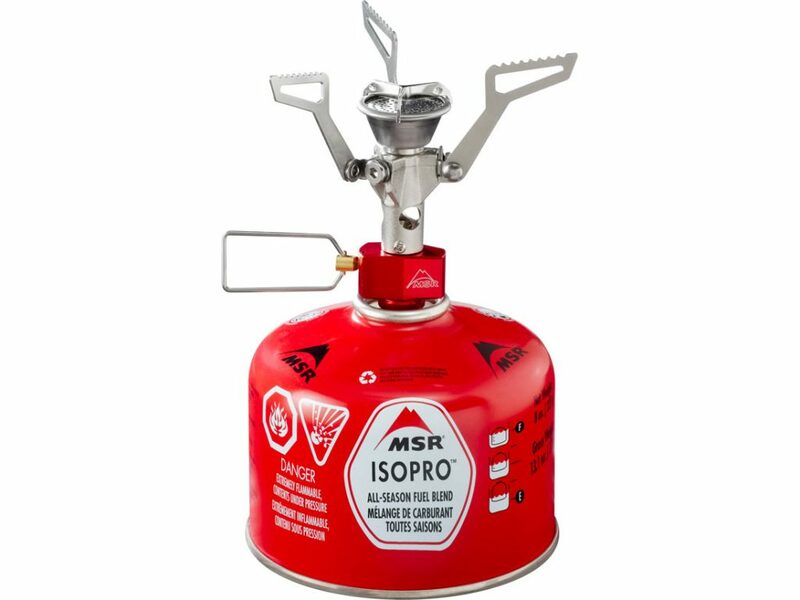 In our recent survey, no hikers identified as using this stove type for their hiking adventures. The choice of which stove you use for hiking can be a confusing one and you will find that if you hike long enough, you will more than likely end up owning multiple stoves for use on different occasions depending on your needs. If possible, talk to other hikers who do similar trips to you as well as talk to the experts in the outdoor stores. If you are starting out, hike with friends and see what they use and get them to each you how to use them. Ultimately what it comes down to is your style of hiking as well as your personal preferences. 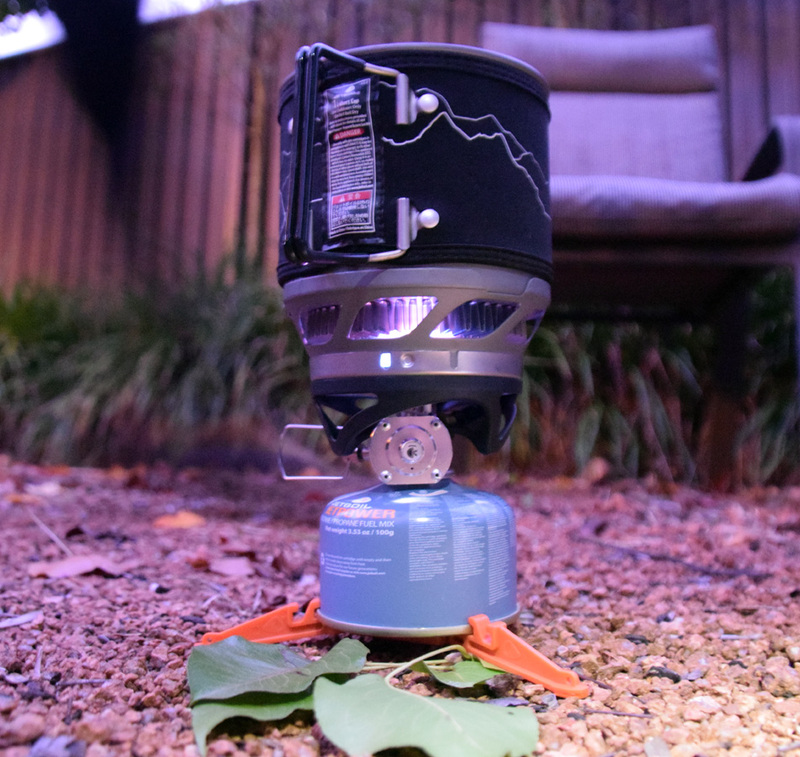 I still prefer my Jetboil Minimo integrated stove as my main stove, not because it’s the lightest or the cheapest but because it’s easy, quick and less fiddly than other stove types. Having said that there are still times I use my other stoves because it makes sense for the specific trip.